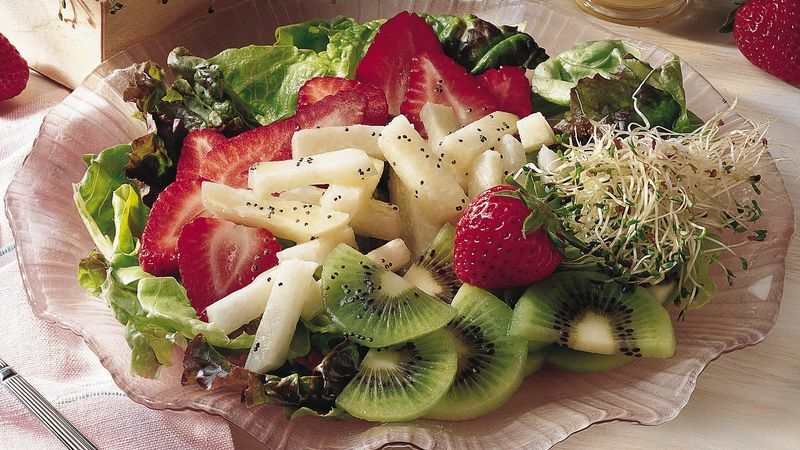 In large serving bowl, mix all salad ingredients. Add dressing; toss to coat. Just for fun, add a few other berries to the strawberries. Raspberries or blueberries would make a pretty addition. Strawberries lose much of their bright, fresh flavor when they’re soaked in water. Minimize this flavor loss by washing strawberries quickly, rubbing with a damp paper towel.